Like Boston and LA, or Crispa versus Toyota, or the Red Sox against the Yankees in baseball, or La Salle-Ateneo, or the Spanish neighbors Barcelona and Real Madrid — we all crave for rivalries. 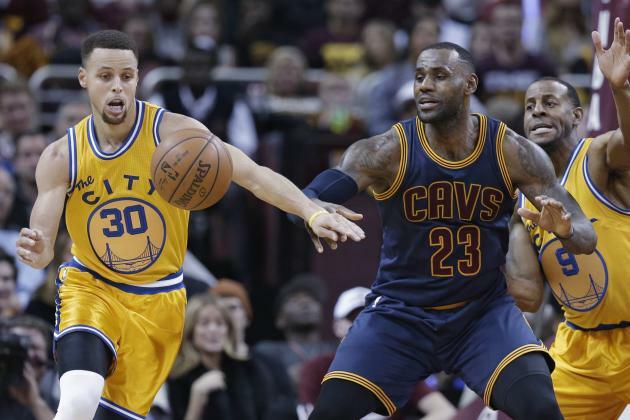 Are we en route to seeing another mega-clash when Cleveland meets Golden State in The Finals starting June 2? Yes. While the Game 1 shocker of OKC was an aberration that will be corrected this week, all hopes and bets point to a repeat of last year’s final. Here’s the interesting narrative: While Golden State shattered the record of Michael Jordan & Co. by winning 73 this regular season, it’s not them but Cleveland who’s been spotless in the playoffs. Ten-oh. Will be it 11-0 this morning when the super-confident Cavs play in Canada? I wouldn’t bet my dog Bolt against it. All season long, we doubted the Cavs. Kyrie Irving was absent for the first 23 games, recovering from a fractured kneecap. They fired David Blatt in January — and it’s never a good omen when you terminate a head coach midway through the intramurals. It turns out — possibly like our political scene — that change is good. Since Tyronn Lue assumed the coaching honors, the team from Ohio has become, like the Olympic motto… faster, higher, stronger. They’re obliterating the East with a winning margin of 13.4 points per game. Their 10-zero record is the third-longest ever to begin the playoffs. With Kevin Love healthy and Kyrie’s injuries healed, the Cavaliers have transformed themselves not only as challengers but as true title-holder contenders (the latest odds by pollster Nate Silver still puts GSW on top with a 44 percent chance of winning the trophy against 30% for the Cavs). Now 10-0, can the Cavs go all the way and win 16-0? There’s a funny story of how LeBron’s “prediction” is coming true. Six weeks ago, he was asked by ESPN if the Cavs are ready to do battle for 20 to 25 games in the playoffs. LeBron turned to his seatmate. “Tristan (Thompson), how many games do we need to win in the playoffs to win a championship?” James asked. The main question amidst all these queries is this: Can Stephen Curry stay healthy? Everybody but the Ohioans hope so. It would be a pity if he’s hobbled and not 111 percent. Thus far, Curry has missed six of 12 playoff games. And, if the ankle injury and the MCL sprain weren’t enough, he jumped into the stands in Game 2 against OKC that resulted in a “tennis ball” knot on his right arm. Ouch. SC’s painful response? He inflicted pain on OKC; the league’s first unanimous MVP scoring 15 points in two minutes. Curry has to stay healthy. In the same way that LeBron went solo 12 months ago when he dribbled without Love and Irving, the same thing can’t happen to GSW. To fans of both squads, the perfect scenario would be having both teams injury-free in the finals. Back to our assumption… A Warriors-Cavaliers finale will be one of the most exciting sporting events (not limited to the NBA) this decade. With no offense meant to OKC, I hope Durant and Westbrook don’t silence Golden State’s thunder.